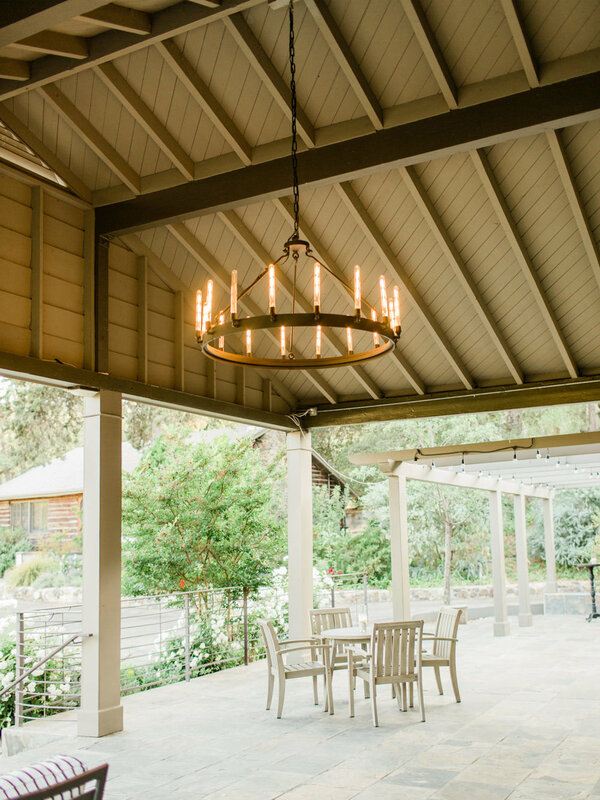 Chef Cordelia is shaking things up in the Southern California wedding scene with her rebrand and relaunch of The Lodge at Malibou Lake. 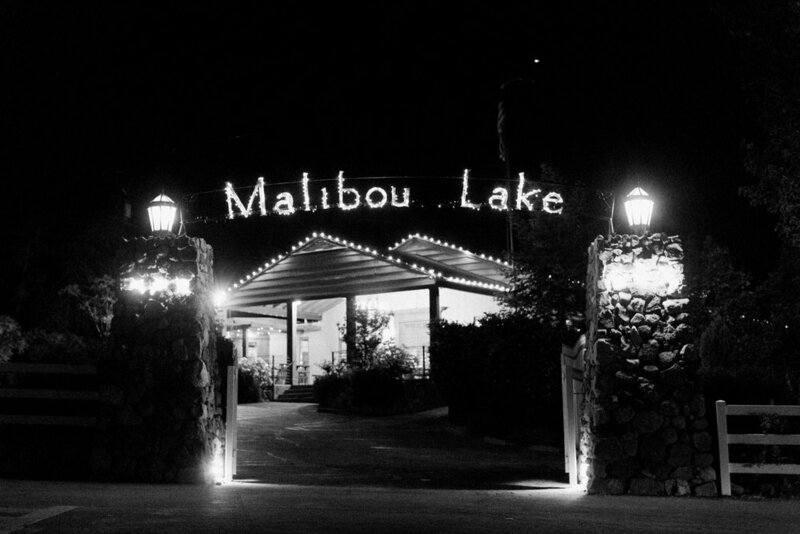 You might recognize this Agoura Hills venue by its former name, Malibou Lake Mountain Club. Chef Cordelia, the Exclusive Caterer, has energized this beautiful venue by successfully merging classical-romance with eclectic-cool. The Lodge at Malibou Lake it is a hidden gem in the Santa Monica Mountains, surrounded by sycamore and oak trees, with a private lake view. 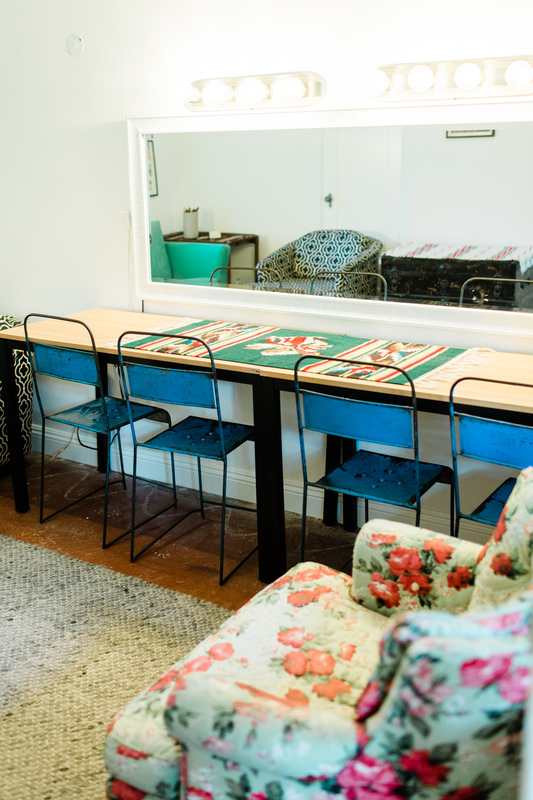 The historic Lodge was built back in 1936 and has recently been refreshed and redecorated by Chef Cordelia. It now has eclectic furnishings (similar to a Millwick or SmogShoppe vibe) mixed in with romantic and classical outdoor Malibu nature vibes. 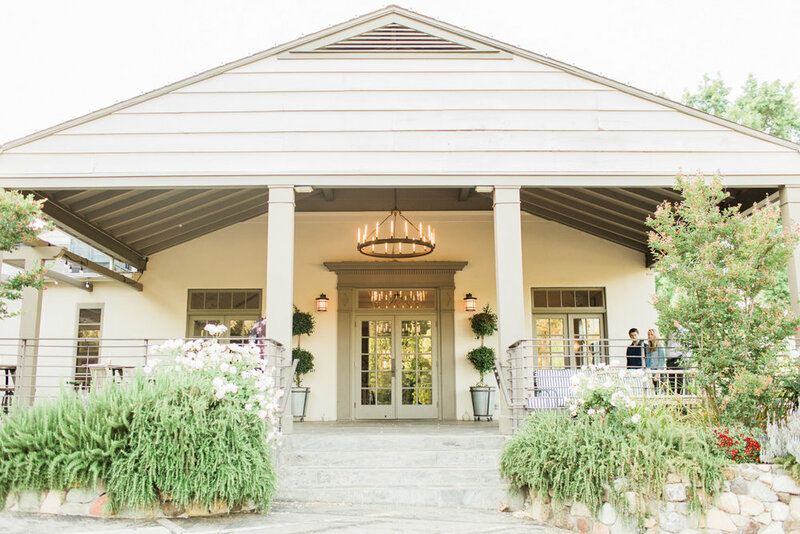 You get the best of both worlds at one local Southern California wedding venue! The Lodge at Malibou Lake is managed Exclusively by Cordelia Culver Peterson, the Executive Chef and Owner of Chef Cordelia Catering! The Lodge hosts weddings, parties, and corporate events. They have both indoor and outdoor event spaces and they only book one event per day. 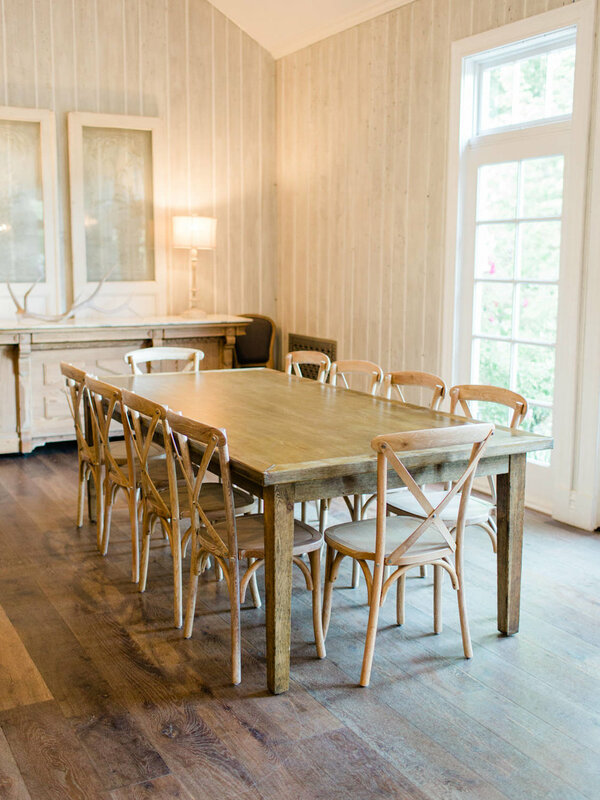 The Lodge comes fully furnished with wooden dining tables, cross-back vineyard chairs, cocktail tables, dishware, dessert tables, and stylish lounge furniture. 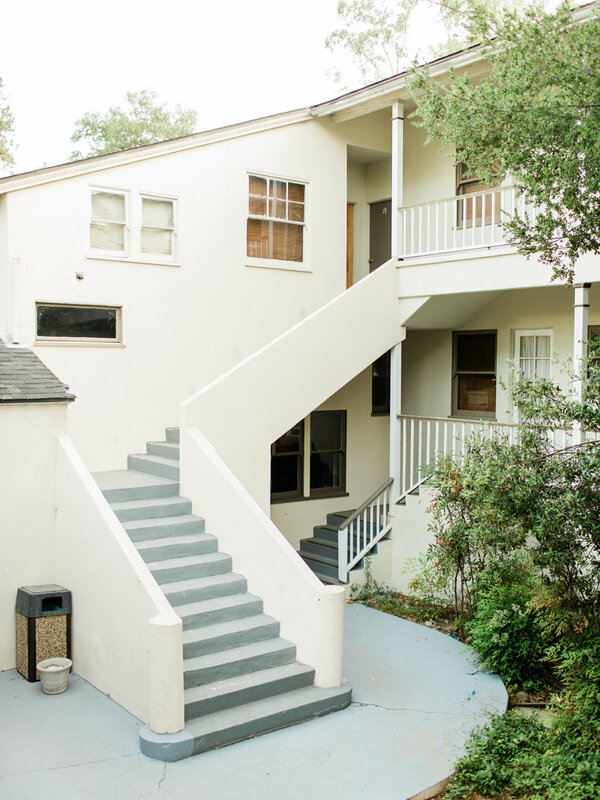 When you book the Lodge you'll have exclusive use of their facilities, furnishings, and parking lots. 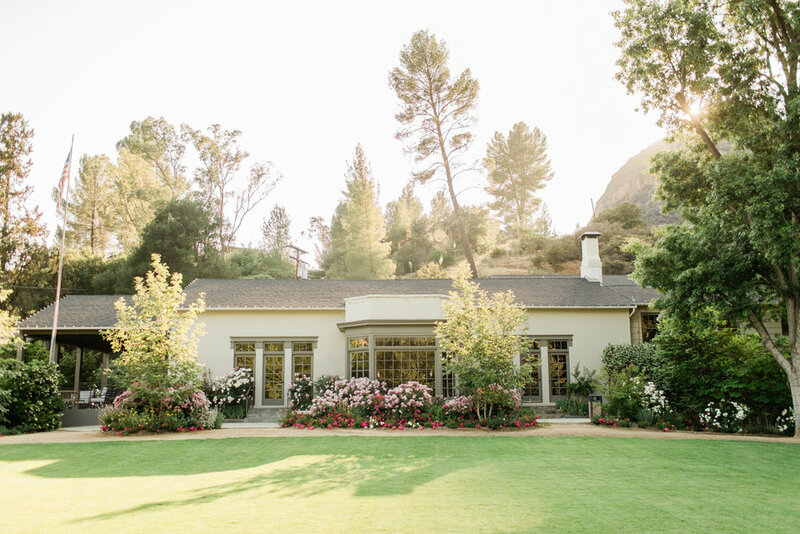 You can have your wedding outside, framed by oak trees and a rose garden, overlooking a private lake. The GREAT LAWN has 20,000 square feet of lush green space and has recently been updated with hundreds of new plants (including aromatic climbing jasmine) and beautiful new grass. They have a circular ceremony arch you can use for your ceremony too! Imagine your Malibou Lake view wedding ceremony here! Wedding couples and their photographer can take wedding portraits by the side of the lake, along the garden paths and around the wooded lanes of the extensive private property. The Lodge requires all couples to hire a professional wedding planner to seamlessly plan and coordinate the logistics of their wedding! Art & Soul Events has already planned two Malibou Lake Weddings (under the former management, pre-renovation) and would be delighted to go back! The FRONT PORCH is a covered outdoor space overlooking the lake, perfect for the cocktail hour. The LIBRARY BAR is a cozy, stylish bar, and lounge area off of the BALLROOM where guests can chill out in comfortable armchairs while sipping a fresh cocktail. Brett and I thoroughly enjoyed our delicious freshly muddled berry mules! We dipped these delicious meatballs in fresh marinara! YUM! Everybody loves a grilled cheese bite dipped in tomato soup! Am I right?? The BALLROOM is a gorgeous, large formal room with wood floors, paneled walls, high ceilings and new industrial-modern chandeliers. The large bay windows overlook the GREAT LAWN and Malibou Lake. The BALLROOM has space for dinner seating for up to 180. A delicious group tasting at The Lodge at Malibou Lake! The lodge has 3 stylish DRESSING SUITES with private bathrooms for the couple to get ready and hang out in pre-ceremony. 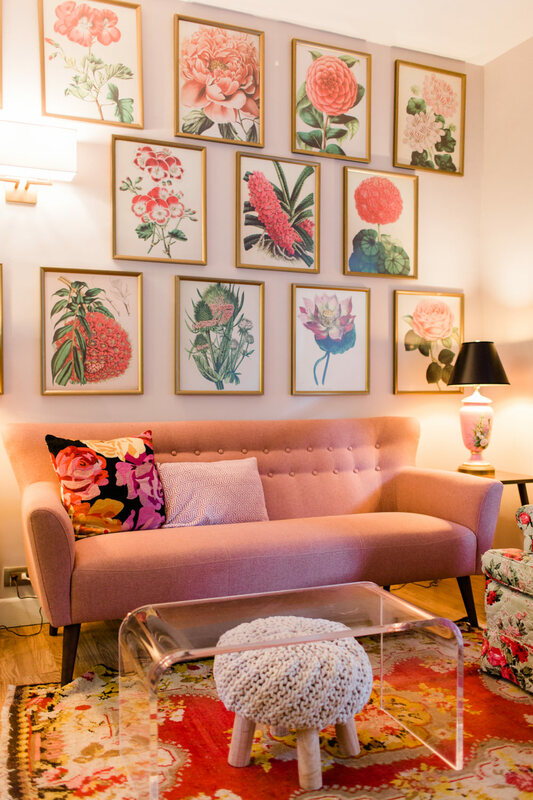 These uniquely decorated rooms are sure to add some excitement and visual interest to your getting ready photos. Please contact Chef Cordelia for current Menus and Venue Rental Rates. 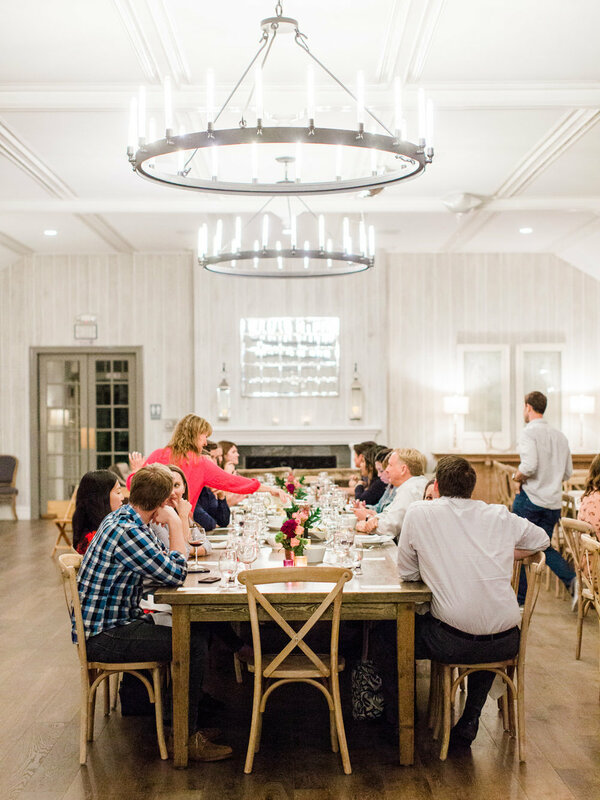 Brett of Loie Photography and I were invited to a delicious Family Style Tasting at The Lodge! The delicious dinner included a Romaine Caesar and Field Greens Salad, Grilled Vegetables, Smokey Mashed Potatoes, Wild Mushroom Pasta, Grilled Chicken Breast with Grilled Fruit Salsa, and a Beef Tenderloin with Horseradish Remoulade. I am still dreaming about those smokey mashed potatoes. We ended the meal with a choice of fresh baked pies including strawberry/rhubarb, key lime, and fresh cherry! I chose key lime because that is one of my all-time favorites! One of the things I love most about The Lodge at Malibou Lake is all of the furniture they include in their venue rental package. Table, chair, and lounge rentals for a 150 person wedding can easily add up to more than $10,000 on a standard rental order. When you host a wedding at The Lodge, you don't have to fuss with all of that because furniture is included in the Malibou Lake venue package. 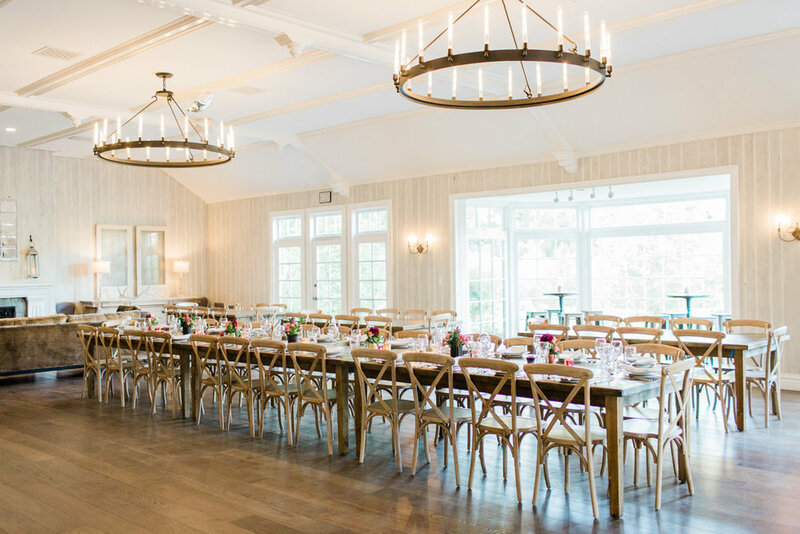 The Lodge has a stylish inventory of dinner chairs, wooden farm tables, ceremony chairs, a circular ceremony arch, cocktail tables, eclectic lounges, a stylish bar, cake table buffets, and a large wooden buffet or dessert bar. They also have modern dishware, glassware, and a full onsite kitchen for their catering team! Thank you Loie Photography for all of these fantastic photos! 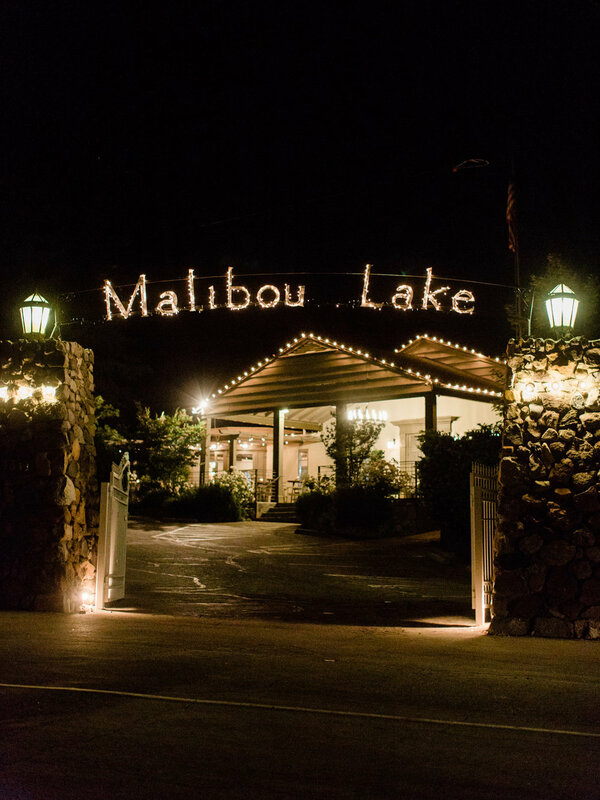 If you've been searching for a stylish + romantic full-service Malibu Wedding Venue, then I strongly encourage you to schedule a tour at The Lodge at Malibou Lake. The food is delicious, the grounds are beautiful, the vibe is relaxed, and Chef Cordelia's team will spoil your guests and family with excellent service! Please contact Chef Cordelia for current Menus and Venue Rental Rates. 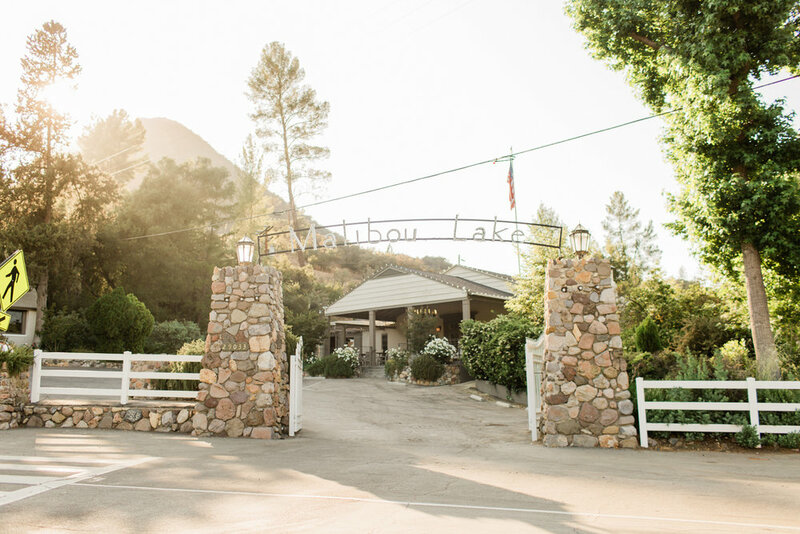 Click to see The Lodge at Malibou Lake's wedding brochure. Sign up for my VIP Newsletter to receive wedding planning inspiration, tips & tools, and information about local creative happenings! We promise we won’t be a pest! Art & Soul Events is a Los Angeles based full-service Wedding & Event Planner. Planning & Designing stylish, soulful, artsy, Weddings + Events, for the bold, rebellious, and creative! Our events take us on adventures all over Southern California and we regularly work in downtown Los Angeles, Malibu, Agoura Hills, Highland Park, Santa Monica, and Hollywood. 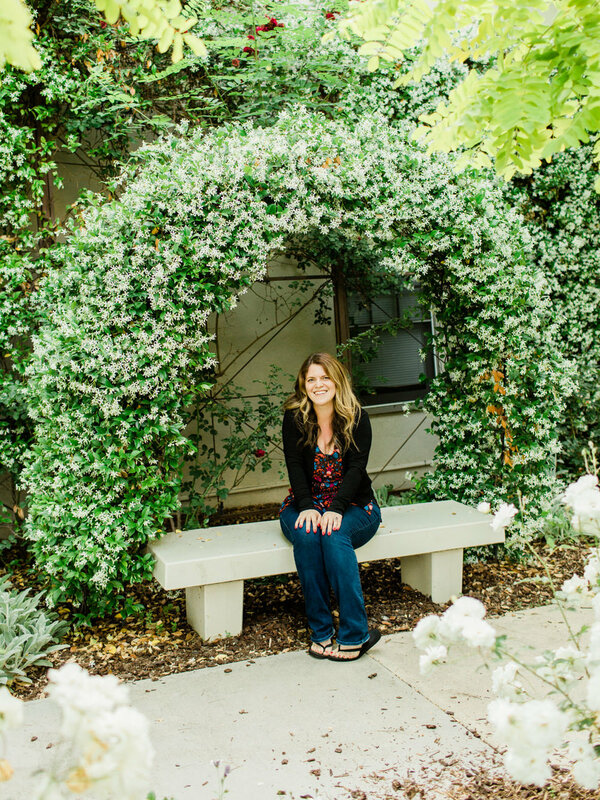 You'll often find us producing weddings in Joshua Tree, Palm Springs, Santa Barbara, Santa Ynez, Santa Cruz, and beyond. We jump at the chance to conquer a new venue or town!